I'm in a strange place with this one, it's not a bad place, just a strange one. It's a limbo between love and meh. It's a cross between a book hangover and a book funk. It's an 'OMG get this book in your hands now' and a 'add this to your TBR pile'. There is truly SO much to love. 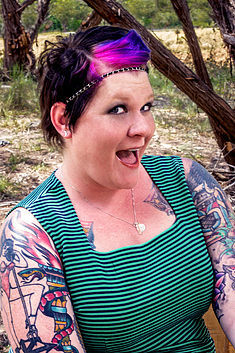 I love that it is a departure from what we've come to know as a 'Jay Crownover' book. I love that she took the chance to write a story that called to her, that she gave us a gift that might be outside of our 'Crownover comfort zone' but is exactly the story she needed to tell. I love the steamy moments. I'm not keen on the insta-love, although by the end I loved the love so it no longer mattered, but that only came in at the last 10% of the book. I wasn't keen on the pure insanity of the plot at times or the seemingly random addition of a family. I mean it's okay that they were there, but the story would have gone on just as easily without them. I love the number of characters we're introduced to, but not keen on the fact that I don't think all the characters I've fallen in love with will get their own books...unless I am a very lucky girl! I loved the strength of the characters, even when they are breaking. I love their growth and their courage. I wasn't keen that certain people didn't get their comeuppance in a more 'learn from this moment' kind of way, but I'm a bit vindictive like that, haha. Most importantly, I definitely want more! 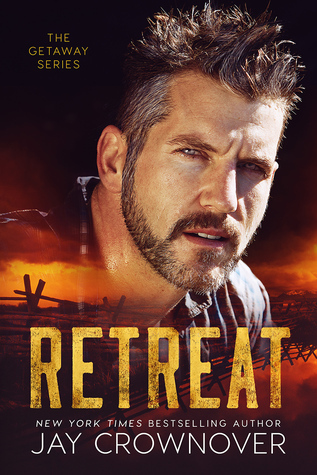 Retreat is a departure from what you expect from Jay Crownover but it's a breath of fresh air when you need it most. I was tying to come up with a good comparison of if you like this author then you will like this book and honestly I can't really pin point down one author. Jay has really taken hold and given us something new here, it's a contemporary romance, with a thriller/suspense twist, verging one the edge of dark. I think the only person I can safely say if you than you...is Kristen Ashley, but that comes down to the 'world' building and the angsty-ness of the Hero, other than that Jay has really forged her own path here and she's barreling down it, luckily for us! Contemporary Romance fans get your hands on this one and definitely let me know what you think when you are done. I need to talk about this and get my feelings straight, haha.